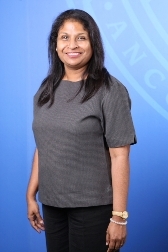 Shyamala joined Monash University Malaysia in June 2008, after having taught at Sunway College(now Sunway University College),Inti and Segi colleges. Prior to her academic career, she has worked in the professional practice in UK and in the commercial sector as an accountant. She is a Fellow member of Association of Chartered Certified Accountants in UK and an Associate member of the Institute of Internal Auditors of Malaysia. Liquidity Implication of Corporate Social Responsibility Disclosures: Malaysian Capital Market Evidence”, the Plenary Paper Sessions of the JCAE Annual Symposium, 3-4 January, 2014, Kuala Lumpur. Influence of Corporate Governance, Reputation and Firm Characteristics on Level of Corporate Social Responsibility Disclosures and Cost of Debt: Malaysian Evidence submitted to JCAE Mid – Year Conference 2013. Presented at the GSB Colloquium in June 2013 and to present on 21.11.2013 organised by UNIRAZAK.